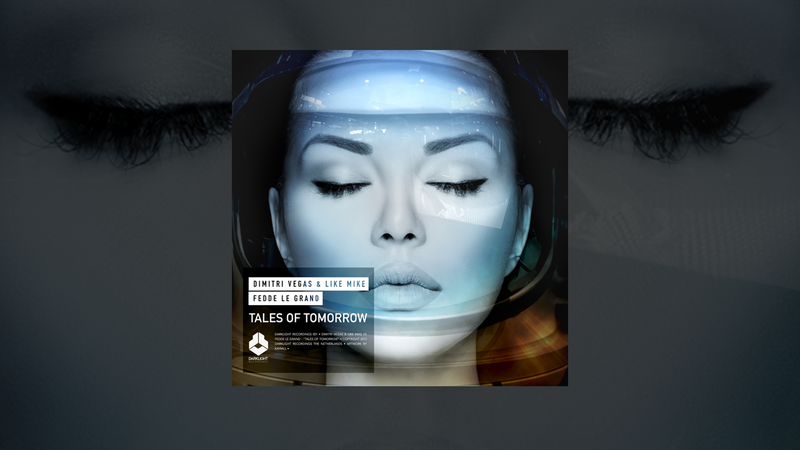 Tales Of Tomorrow is a supercharged, big room track that harks back to the style of electro house that made three of them feel nostalgic but progressive all in one go. With electrifying syncopated synths, euphoric chord progressions and a powerful vocal from the French sing-songwriter Julian Perretta, the track has an infectious energy right from the get go. This effortlessly builds to a drop of biblical proportions that sees the production styles of these three artists seamlessly combine to enormous affect. Having been premiered on Danny Howard’s Radio 1 show, teased in the Official Tomorrowland Aftermovie and dropped in full at Dimitri Vegas & Like Mike’s sell out performance in Belgium in December 2014, Tales Of Tomorrow has had a long journey to fruition. Undergoing multiple changes and returns to the studio to get the track to its now flawless state, the three powerhouses in dance music have now produced a track to kick the year off in style. Having hit no.1 on 2015's first Buzz Chart, DVLM and Fedde have decided to celebrate in giving back to fans with a huge Tales Of Tomorrow competition. Simply follow the instructions here to be in for a chance of winning tickets to GRAND NL, Tomorrowland Brasil and Bring The World The Madness Mexico!